If you are like me, you've had your eyes glued to the FIFA world cup, taking place this summer in the enchanting South Africa. While certainly intrigued with the beautiful game, in my role as happy urbanist, my attention is divided between football and Johannesburg's recent inner city renewal. An article by Geoffrey York in the Globe and Mail on June 5 introduced me to Gerald Olitzki, a visionary Johannesburg resident and businessman who has almost single handedly re-invented the city core. Joburg or Jozi as South African hipsters call it, has certainly changed in the last 20 years thanks to people like Mr. Olitzki who had been sadly watching it's slow and steady deterioration and decline. 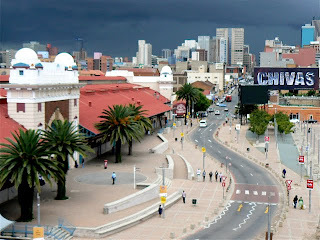 As the largest city in South Africa, Johannesburg's metropolitan area has a population of over 10 million people. Racial segregation goes back to colonial times but more recently, Apartheid (1948-1994) wreaked havoc with this country and certainly put a strain on the inner city, with mass migration out of the city center into the more affluent all-white suburbs. The empty city became a haven for gangs, squatters, drug dealers and other undesirables who quickly became responsible for giving the city the disconcerting title of 'murder capital of the world'. People became afraid to set foot in the downtown. One of the key players associated with the turn around, Gerald Olitzki, a lawyer and property developer, did not flee. He stayed put, determined to turn the inner city around. Concentrating around Ghandi Square (formerly Van der Bijl Square) where the city's central bus terminal resides, Olitzki started buying up worn out abandoned buildings, some of which were historic, and, along with the city, began the slow but steady necessary clean up. One of the more visible public/private partnership revitalization projects, Ghandi Square, once home to a host of crimes and a holding area for city buses, is now a thriving, safe, cafe-lined urban square. Mr. Olitski had dreams of changing this area for years and thankfully stuck to his ideals after being turned away year after year from local governments who thought he was crazy. It was not until 1994, that watershed year ending apartheid, that the Greater Johannesburg Metro Council took Olitzki up on his offer. Now after over 15 years and millions of Rand spent, all are in a agreement that the project was a huge success. The Ghandi Square face-lift sparked further inner city re-development. Slowly business began returning to the central core. With technology making it easier to work from anywhere, central city buildings no longer need to be workplace-only facilities. Olitzki knows that the next step in rounding out the inner core is to provide vibrant residential spaces to turn it into a place with 24 hour activity. He wants to provide options for both singles and families who want to live in the urban core. (Calgary take note) and is making safety a major objective towards this goal. He hopes world cup visitors will venture further than the affluent mostly white shopping-mall-filled suburbs to see the real Africa in places like downtown Johannesburg, Newtown and Yeoville, (other up and coming inner city neighbourhoods). Olitski is by no means the only Joburger with great inner city aspirations. People like Neil Fraser (Central Johannesburg Partnership) and Isaac Chalumbria (Lionshare Holdings) know that they are part of a positive trend. With events like the Halala Awards (Halala means 'to celebrate') established to recognize the acheivements of people who have changed the face of Johannesburg, Jozi's inner city is on the cusp of something special. Don't just take my word for it, read Laurice Taitz' amusing city guide to Joburg blog. If the wise folk of Jozi were able to turn around 'the murder capital of the world', (the centre's murder rate has dropped by 27 % since 2005) doesn't our own inner city renewal seem simple in comparison? People like Mr. Olitski had to change the perception of the inner city as much as he had to change the physical infrastructure. People have to understand that it is worth renewing. The tipping point may just have come with the arrival of the FIFA world cup. 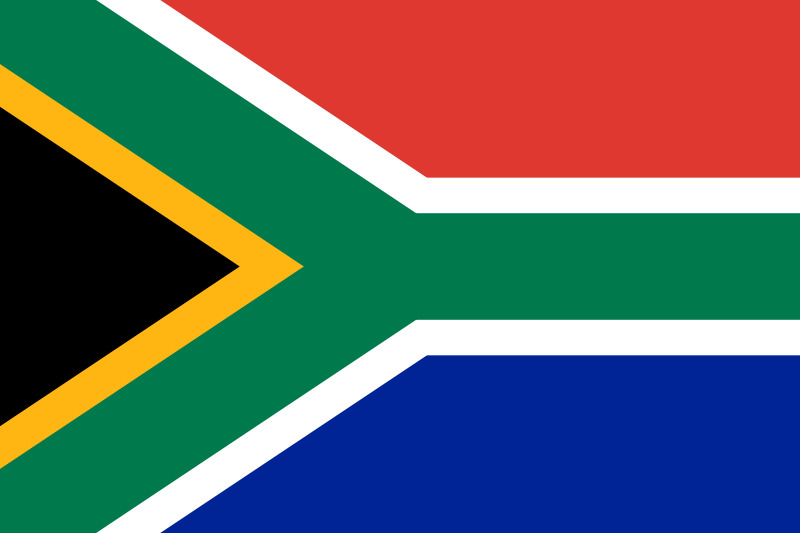 With international eyes on South Africa, let's all wave the flag for inner city renewal.